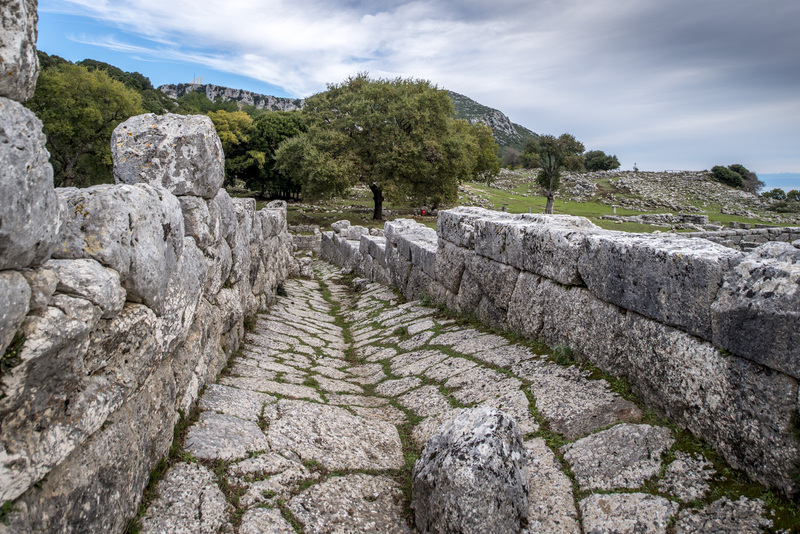 Built on a spacious plateau, on the southern slopes of Zaloggo mountain range, in a naturally fortified and strategic position, it is the balcony of the prefecture of Preveza. 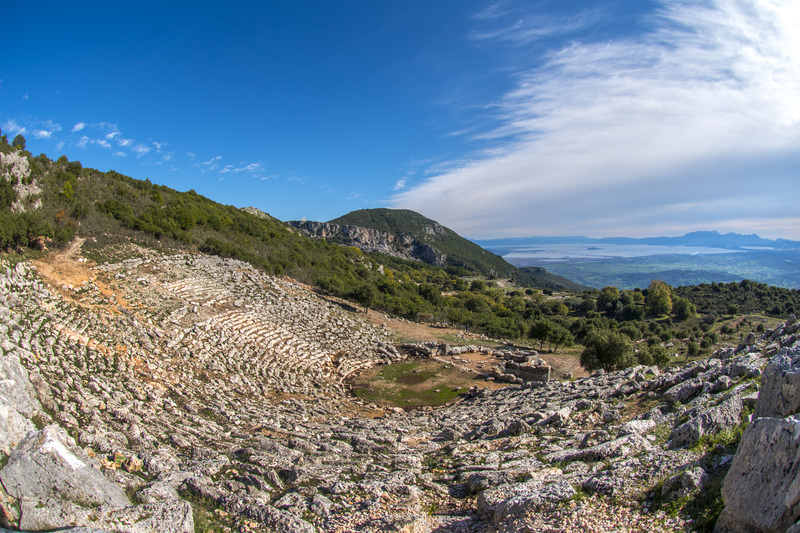 It offers a unique view over the Ionian Sea, Amvrakikos Gulf, the island of Lefkada and the Acarnanian coast. 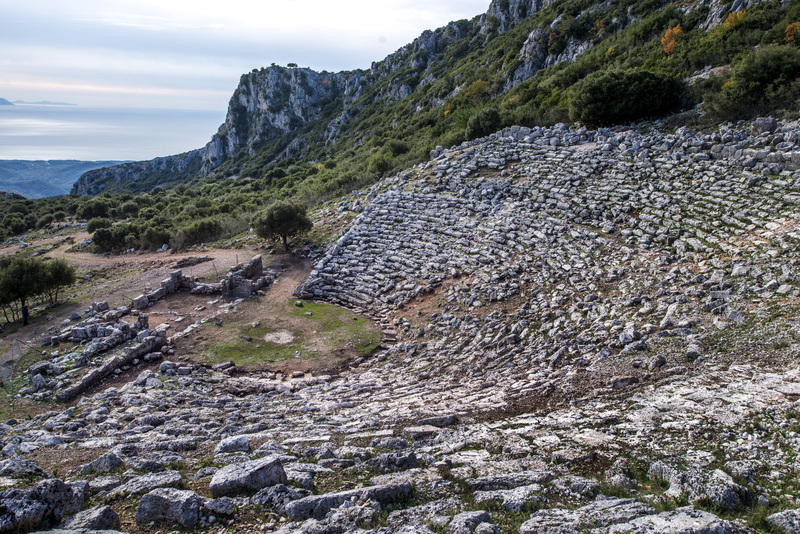 Cassope was built in 340 BC but it flourished after the late 3rd century BC. At that time, its population ranged between 8,000 to 10,000 inhabitants. It is a characteristic example of an integrated urban center of the Epirote tribes. 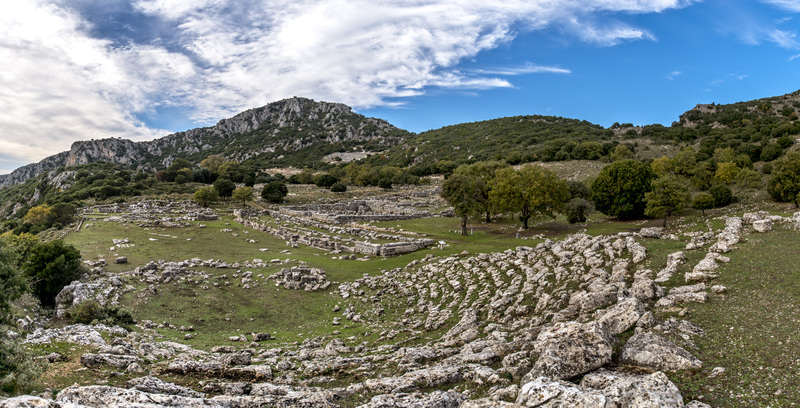 The Hippodameios planning system was used during its construction. It had an integrated sewerage system which channeled the water waste to the separating sewer of the homes and from then to a larger network of drains which disposed it outside the wall. 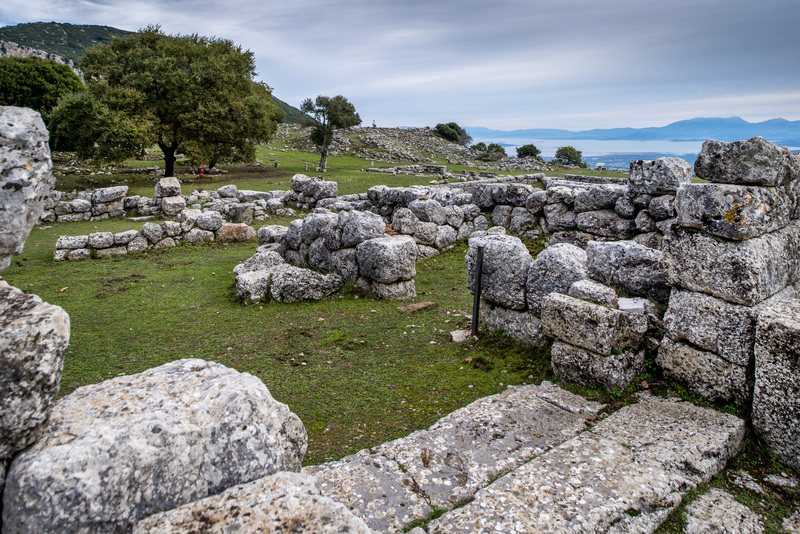 It acquired economic power with the trade, livestock and the products of the fertile plain of Acheron river and had its own mint. 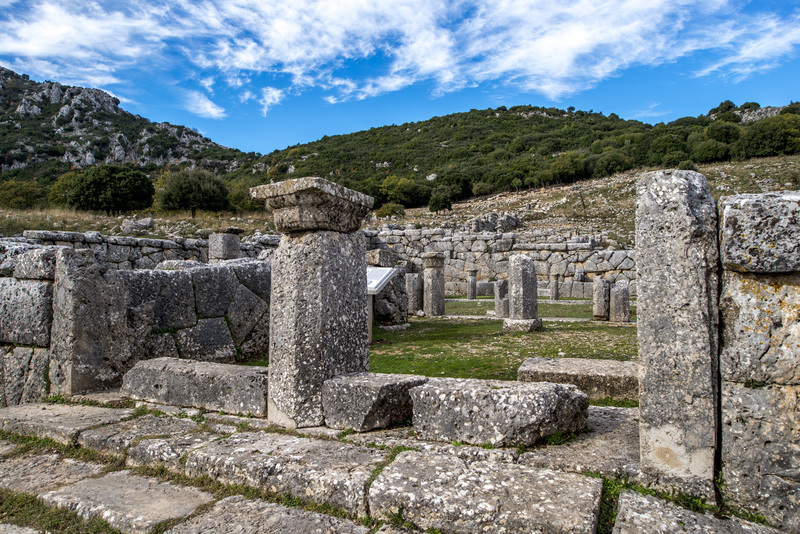 The city had a civilian agora, a prytaneum, two theaters, a hostel, and temples of worship of Aphrodite and Zeus the Savior. 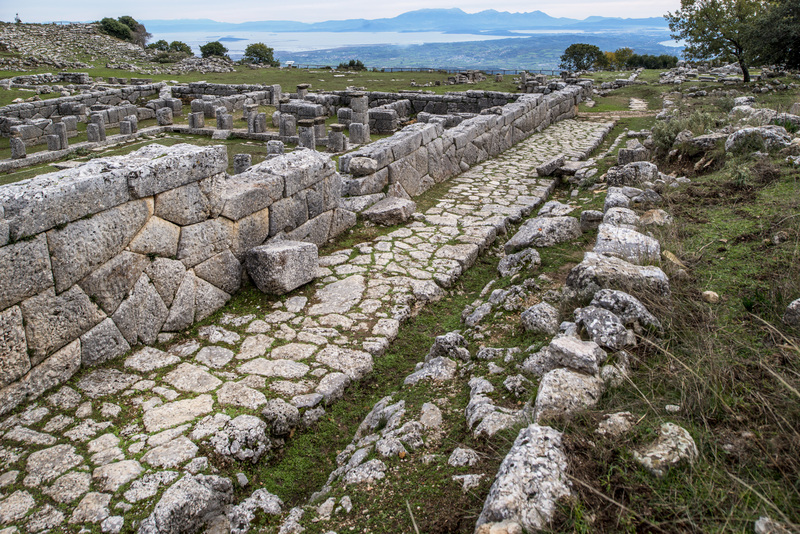 Its prosperity came to an end in 167 BC when it was destroyed by the Romans and was finally abandoned with the compulsory cohabitation of its inhabitants in Nicopolis.